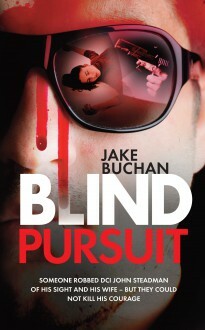 Blind Pursuit is the story of Detective Inspector John Steadman: Someone from the DI’s past hated or feared him enough to hire professional killers to murder him and his wife. The hit was carried out with ruthless efficiency, except for one detail. The bullet that smashed into Steadman’s skull left him blind, but still alive – and still equipped with one of the finest minds in the force. As Steadman learns to live with the loss of his sight, his fearless pursuit of the criminal fraternity continues unabated. But to achieve his ultimate goal – to bring to justice the man who robbed him of his vision and his wife – he has nothing to go on except a chilling series of nightmares and a voice; a voice he feels sure he has heard somewhere before.